Home › Blog Topics › Advocacy/Leadership › Happy New Year!?! Although I love my summer vacation, I also love planning and looking ahead to the new school year. Like new pencils all sharpened, my brain feels ready for new adventures in my elementary school. 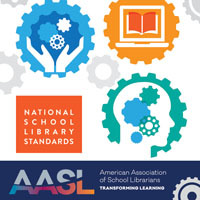 AASL Standards: How well do you know them? Are you ready to use them effectively? What can you do to understand them better? The Standards portal is, of course, a treasure trove of resources and information. Reach out to a colleague, whether in your district or across the country, and discuss how you will implement them together. 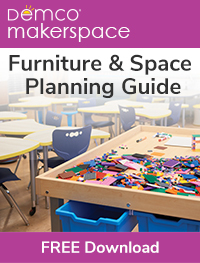 Lesson Plans: Now may be a good time to look through last year’s plans. What went well? What didn’t go well? What older picture book might be replaced with something more recent and diverse? I always have good intentions to critically evaluate my lessons as I teach throughout the year, but I often don’t have time during my day. Now is an excellent time to write out how you might change them. Goal Setting: What new thing, idea, app, lesson have you wanted to try, but haven’t yet? Last year, I was hired to be the new librarian at my school. 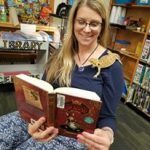 I had always wanted to have a library pet, and I figured there was no time like the present. I asked permission from my administration, consulted with friends, and in no time, was awarded a grant from Petsmart. Dewey, our bearded dragon, has made all of our lives a little brighter. 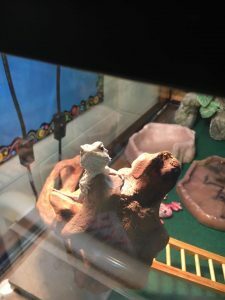 The students and staff alike check on him, research what he can eat, and enjoy weighing and measuring him each month. Think about a new idea or concept and research it before your hectic year begins. Collaboration: Although I am a school librarian on a fixed schedule, I plan to collaborate with classroom teachers as much as I can. Last year, our collaboration was mainly quick hallway conversations of, “Can you help us teach nonfiction text features?” (Of course, I happily agreed!) This year, I have a Google form that each team can access and fill out from our shared school folder. No, it’s not as good as true team teaching, but it is the best I can do on a fixed schedule, providing release time for the teachers. 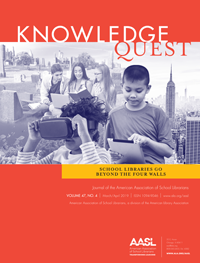 Promoting: Do you “sell” and advocate for your library as much as you can? How often do you let parents know what is going on? Your school district offices? Your state organizations? Although I have Twitter, Instagram, and Facebook accounts for my library, the app Class Dojo proved to be the most effective tool to get the word out about the library. When I send a message on Class Dojo, the parents see it right away–and I can send a message that reaches our families with the click of one button on my phone. Perhaps your school uses an automated dialing system to give parents information. See if you can be trained on it so you can send messages to families as the need arises. The Cozi app has been a true lifesaver. I usually carried around a paper calendar, but I love having a digital one that my family can share and add events to. Meal planning, although tedious for me, saves a lot of time. There are many, many ideas on Pinterest. I like to sit down on Sunday afternoons and sketch out at least a vague idea of what dinner means for us for the week. Especially the first month or so back to school, you will be too exhausted to think about what to eat! I hope you have a great beginning to your school year!